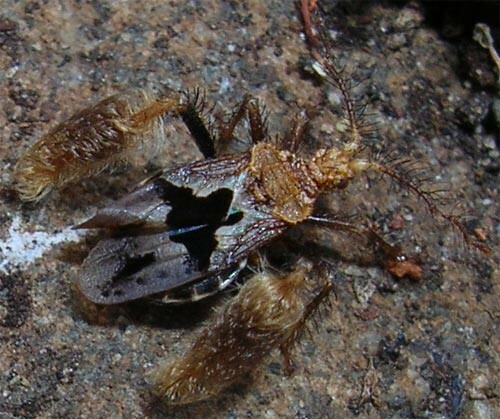 Furry-legged assassin bug, Ptilocnemus femoratus. Lots of these adults and a few nymphs were found under a rock, but usually they are up trees hunting for ants. The way they move is quite comical - 'stomping' their furry back-legs as they walk. Chrysolarentia interruptata photographed at Tiger Hut. 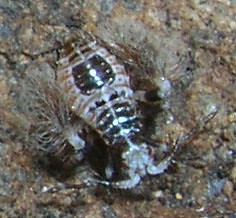 Tasmanian hairy cicada, Tettigarcta tomentosa. 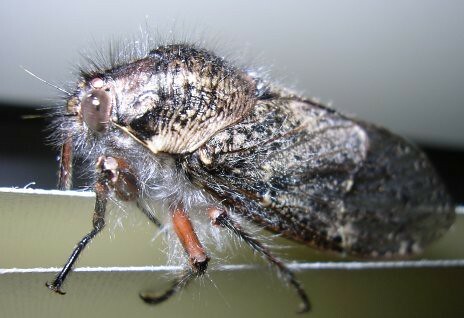 It is endemic to Tasmania, and is one of only two species of silent cicada in the world. 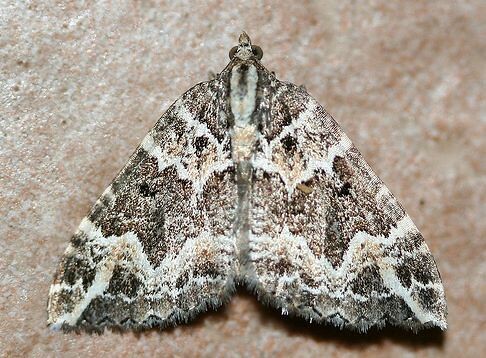 Hairiness and large size are common alpine adaptations. 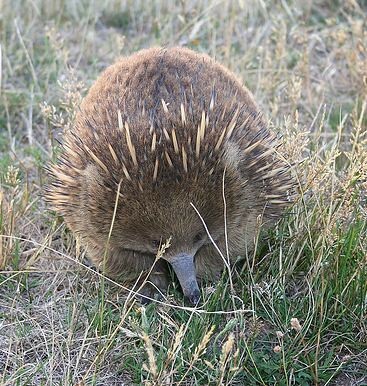 Tachyglossus aculeatus (Short-beaked Echidna) seen feeding on the side of the Lake Highway. Pieces of local dolerite(?) 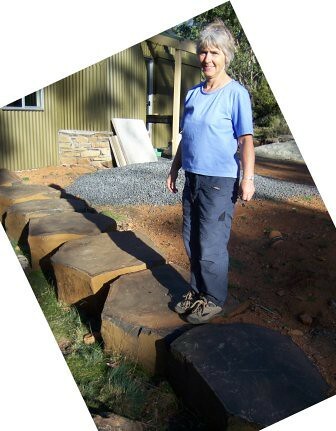 column being used for landscaping at Tiger Hut.